The Birmingham Southern College is a private, United States Methodist Church affiliated liberal arts college, located in Birmingham, AL. Rigorous academic training is complemented by courses in Christian ethics. Over 80 student organizations are located on campus. Opportunities are available with student publications, service organizations, fraternities, and various social clubs. Educational programs and student organizations are heavily influenced by the college’s religious mission. The Chaplain and Office of Religious Life sponsors worship services, theological training programs, and interfaith activities. Popular bachelor’s degree programs include religion, musical theatre, media and film studies, art history, and art. The school also offers master’s degree program in business administration. 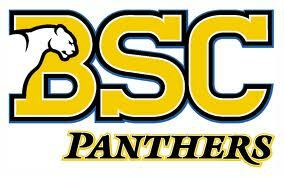 See the degree programs that are offered at Birmingham Southern College. See the distance education degree programs that are offered at Birmingham Southern College. See what it costs to enroll at Birmingham Southern College and how many students are receiving scholarships, grants, or loans as financial aid to help cover the costs of tuition. See the admission requirements for Birmingham Southern College. Find out how many students apply and how many are accepted. View a graphical breakdown of the gender, age, and ethnicity of currently enrolled Birmingham Southern College students.